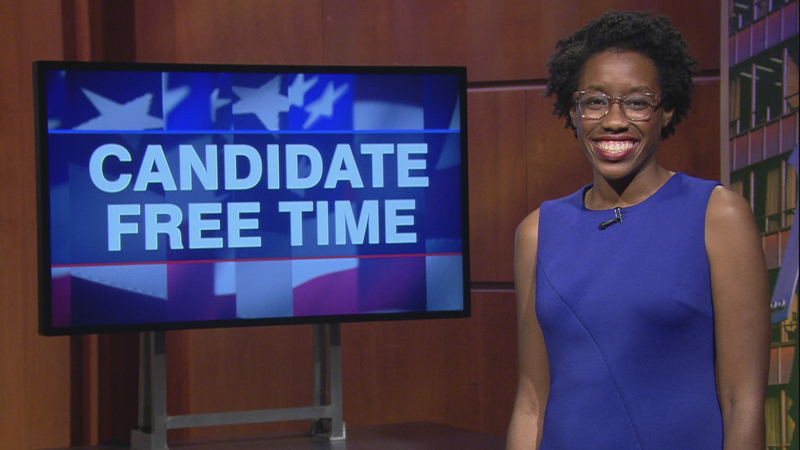 Video: Lauren Underwood tells voters about her platform. Learn more about Candidate Free Time. More candidates running for Congress. It’s time for the 14th District to have a representative who works relentlessly for middle class families. I aspire to be a bold representative for our community, someone who is wholly responsive and accountable to her constituents. For too long, our community has gone without effective representation. Our congressman puts partisanship ahead of his constituents. When elected, I plan to hold quarterly town hall meetings throughout the seven counties of the 14th District. I will always make myself accessible to our community members, as I have throughout my campaign. My opponent has failed in this regard. We’ve had multiple opportunities to debate the issues in public, and he has chosen not to attend. I will always show up for the people of the 14th District -- I am serious about being this community’s voice in Washington. Our country needs new leaders who can put partisanship aside and make progress on the issues that matter to our community. I am a 32-year-old registered nurse and health policy expert from Naperville running for Congress to be a champion for middle class families. I have spent my career expanding access to quality, affordable healthcare and helping communities prevent and prepare for public health emergencies like Zika and Ebola. I’ve spent the past year traveling across the seven counties of the 14th District, and the most pressing issue I hear about is the lack of affordable healthcare. I’ve heard from seniors who struggle to pay for their prescription medication and families who have mortgaged their homes to pay for a loved one to go to rehab. No one should have to make a choice between paying the bills and getting the healthcare they need. This issue is why I decided to seek this office. I was working for a Medicaid managed care company in Chicago when I found myself at my opponent’s one and only public event of 2017. During that spring, the Congress took a series of healthcare repeal votes. I was watching the debate closely as a healthcare professional and a woman with a pre-existing heart condition. During that springtime public event more than a year ago, my opponent made a promise. He promised that he wouldn’t support a bill that didn’t provide affordable coverage options for people like me with pre-existing conditions. That promise was important to me, and I took him at his word. Just a few weeks later, he cast one of the deciding votes for the American Healthcare Act, a version of repeal that would have made care unaffordable for those of us with pre-existing conditions. More than 300,000 people in our community have pre-existing conditions. My name is Lauren Underwood and I’m a 31 year old registered nurse from Naperville running for Congress in Illinois’ 14th district. I’ve spent my career working to expand healthcare coverage in communities across our country. First by working to implement the Affordable Care Act at the federal level, and later in the Obama administration where I worked on public health emergencies and disasters like Ebola, Zika and the water crisis in Flint. Then, the 2016 election happened. The Trump team made it immediately clear that they didn’t want to continue on the progress we made: they wanted to take away healthcare coverage from the American people. That’s not why I became a nurse. So I decided to return home to Illinois, a state that expanded Medicaid under the Affordable Care Act, where I began working for a Medicaid managed care company in Chicago. That spring, I found myself at Randy Hultgren’s one and only public event of 2017. And that night, he made a promise. He said he was only going to support a version of Obamacare repeal that let people with preexisting conditions keep their healthcare coverage. As a nurse who has taken care of patients with chronic illnesses, that promise was really important to me. I worked to implement the ACA, so I have read the law and I know we can fix what didn’t work. And, like so many Americans, I have a pre-existing condition myself. It’s a heart condition and it’s well-controlled, but it’s one of these diagnoses where I wouldn’t have been able to get coverage under the repeal scenarios. So when Randy Hultgren made that promise, I believed him, because it was personal. Then he went and voted for the American Health Care Act, the version of repeal that did the opposite: it made it cost-prohibitive for people like me to get coverage. And I was really upset. I believe that representatives should be transparent and honest about their votes. They should be accessible to the community and know that they’re accountable to us, the voters. And Randy Hultgren didn’t see to recognize that. So I decided, you know what, it’s on. I’m running. Because we deserve better. Election Day is November 6 and I hope to earn your support.